Were you one of these ladies on the lawn? 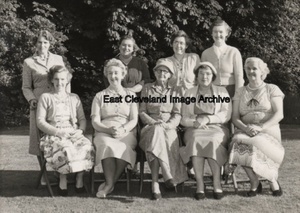 We have some of the names and they are: Back row: Sally Green, Mary Dale, Mrs Fenby. 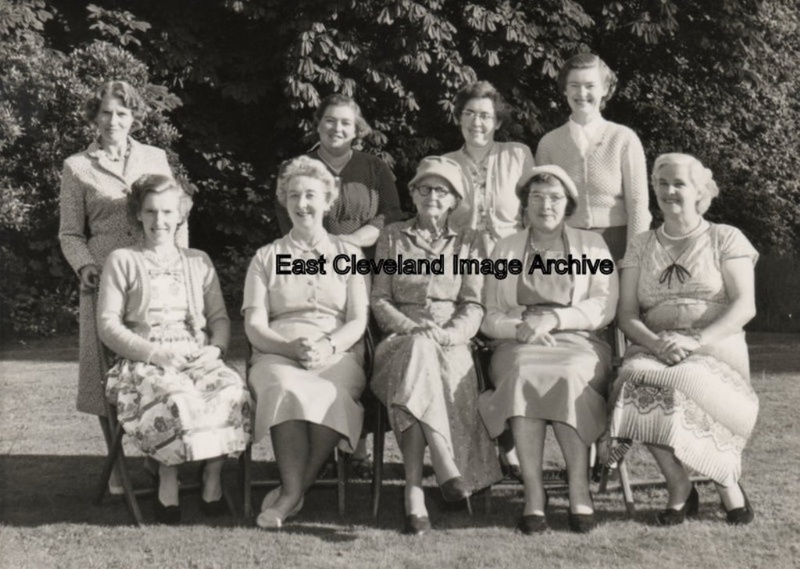 Front row: Dossie Rowland, Mrs Waton, ? ?, Mrs Rowland, Mrs ?. Image courtesy of Mrs Waton; thanks to David and Martyn for the updates. Sally Green may have been the wife of Bill Green, a worker at Easington Hall Farm. I remember them living in Morehead Terrace in the late 1970s/early 1980s; a devoted, good honest Yorkshire couple; Bill with his hens; Sally making brawn. I recall, too, Joe Fenby; a churchwarden at the Church. Yes, Sally Green was the wife of Bill Green; they had two daughters Joyce and Jennifer. They lived in Morehead Terrace for the rest of their lives; Sally passing away in the 1990’s and Bill about ten years later. Sally and Bill are my grandparents, I’m a son of Jennifer Green. I bought 4 Morehead Terrace Easington in 1996 where Bill and Sally lived since the 40’s. Sally died in 1990 and Bill died in 1995. Bill was ARP warden and I have some of his ARP documents. I remember Joe Fenby in his later years, he was often sat by his front door playing his harmonica. Joe Fenby was my dad’s uncle,my dad was born and lived at 3 Morehead Terrace,I remember Bill and Sally Green as a child growing up and Joan Spenceley,my dad’s auntie Lena lived at 2 Morehead Terrace,my grandma was Doreen Garbutt 3 Moorehead Terrace.